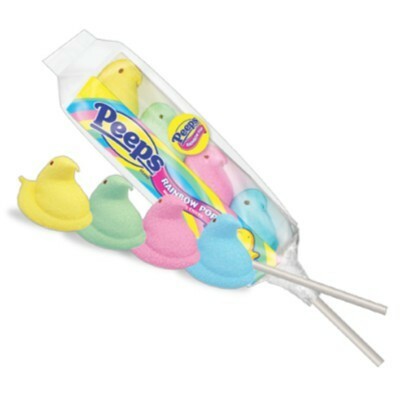 Classic Marshmallow Peeps were your favorite Easter treat to sneak into the microwave and watch them grow. The caveat? Mom could see those ticky fingers! 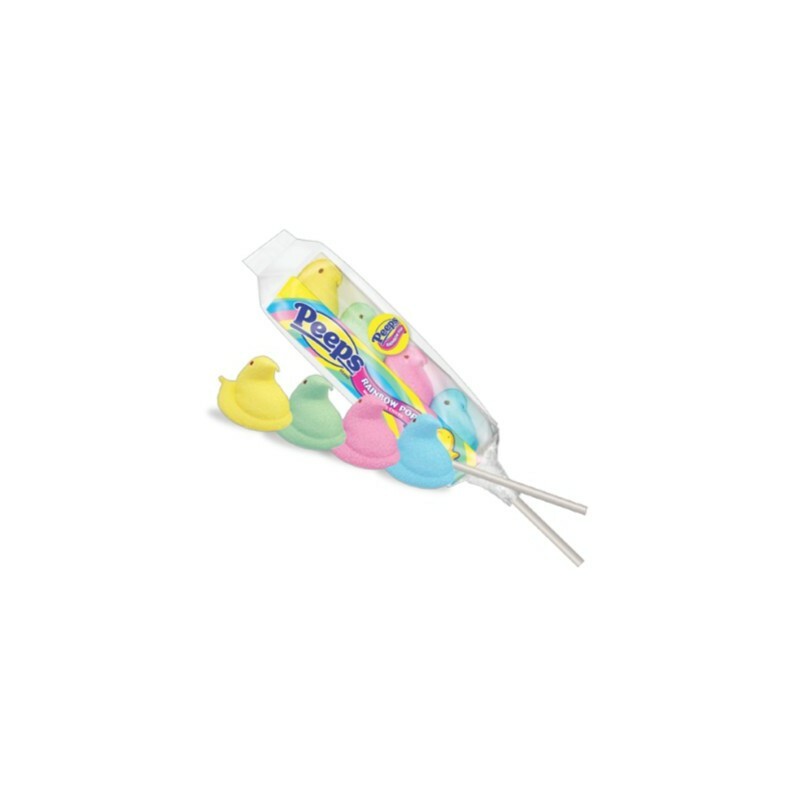 Not anymore; Peeps Rainbow Pops put this sweet and fluffy marshmallow Easter staple on a stick for mess-free snacking that leaves no evidence! Pro tip: these will still grow in the microwave. Sugar, corn syrup, gelatin, 2% or less of: colors E102*-E133-E127, preservative E202, natural flavors, glazing agent E903. May contain peanuts, tree nuts, milk, wheat, soy, eggs, coconut. *May have an adverse effect on activity and attention in children. Contains GMO. Nutrition facts (for 100g): calories 333Kcal, total fat 0g (saturated fat 0g), total carbohydrate 84.6g (sugar 76.9g), protein 2.6g, salt 0.1g.